San Diego has thousands of hotels, offering a wide variety of accomdations - from large convention to small botique or bed and breakfast, or luxury resort spas. There are also a number of 'extended stays' properties, or for groups try a beach apartment or condo rental. You can also find budget hotels and youth hostels available. by name, type, price, location. CONVENTION/BUSINESS - for business travelers and conventioneers. BOUTIQUE - Small and intimate properties. EXTENDED STAY - for longer trips to San Diego, complete living spaces. BED & BREAKFAST - for a personal touch to travel. APARTMENT/CONDO - for longer stays, a complete home with kitchen. BUDGET - basic accomadations for low cost. HOSTELS - budget style for international travelers. CAMPING - for RVs, Campers, tents. San Diego has thousands of rooms of convention and business hotels. From Mission Valley and Hotel Circle, to downtown and the harbor. The hotels listed below are downtown near the San Diego Convention Center. San Diego has a number of Resort hotels for you to chose from. San Diego has a number of hotels in the 'botique' category. 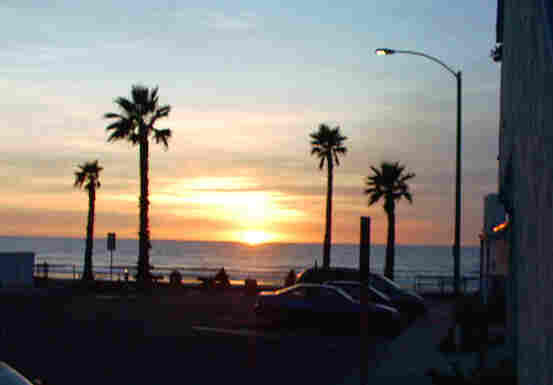 There are boutique hotels downtown, or around the county from Coronado to La Jolla. For business trips or families, San Diego has a number of 'extended stay' properties in a number of locations. for the romantic and personal; touch of a privately owned property. San Diego has a number of locations and companies that specialize in beach or bay apartment or condo rentals. Trying to save money while visiting San Diego and use that extra cash to see the sites? Here are some budget lodging possibilities for you to check out! San Diego has a number of international youth hostels from downtown to the beaches. San Diego has campgrounds from the beaches and bay, to in the city, up to the mountains and out to the desert! from the city to Mission Valley, the harbor, beaches and backcountry. Lodging will be shown by type, location and cost. or fill in the form below, THANK YOU!